In many ways, Strategic Risk Management is understanding that failure to adequately account for a number of related risks can negatively impact on you and your business. While organizations are increasing Risk Management funding and ultimately developing their understanding of a ‘loss-free’ process as opposed to a ‘risk-free’ one, hesitancies with regards Risk Management remain, limiting the potential progress of companies. Risk would not be so-called if there was 0% chance of a loss event occurring. However, in identifying and analyzing the difficulties created by implementing Strategic Risk Management, we can overcome obstacles and focus on success. Below, we have outlined the 4 biggest challenges faced by organizations in developing and implementing Strategic Risk Management. Defining risk appetite is arguably the most important step to achieving success with your Risk Management Strategy. By tracking risk assessments, setting quantitative and qualitative criteria, and taking into consideration a risk’s unique impact on financial metrics, external relationships, and most importantly, strategic goals, it is easy to weigh up what you are setting out to achieve with your Strategy. In addition, identifying your requirements and the potentiality of various risks within your business will help you to devise your long term and short term Risk Management goals. The application of Strategic Risk Management varies considerably with Industrial circumstances and requirements. Risks in the workplace will depend on the nature of the workplace, with Credit Risks, Property Damage Risks and Health and Safety Risks are all components that will vary depending on the work you are involved in. While these risks will vary in prevalence depending on Industry, the application process remains unchanged. Through defining your Risk Appetite and identifying the risks that threaten your Business, you can work on applying your Strategy to ensure potential risks don’t come back to negatively impact on your overall process. This begins with training, an established review program and a solid communications structure within the organization. While the success of Strategic Risk Management starts with establishing what you’re after and subsequently developing a way of tackling those risks, the potential success/failure hinges on the Communications structure within your organization. Often in crisis situations we see a simple breakdown in communication as the determining factor. This is one of the biggest Risk Management challenges facing Businesses and other organizations as it is often taken for granted and pushed to the background behind some more ‘obvious’ demands. Developing a solid communications structure starts with engaging stakeholders and finishes with ensuring each and every employee is in the know when it comes to company policy. If employees are unaware of how their responsibilities relate to the bigger picture, strategic goals may remain abstract as opposed to actionable. It is often advisable for organizations to delegate responsibilities among employees so that everyone takes on the responsibility of actively managing risk. Risk Management is very much a grey area with the numerous considerations that need to be made in its development and implementation, but its success or failure is easily identifiable. Obvious signs like a crisis or risk event will clearly demonstrate the failure of Strategic Risk Management, however quantifying successes can be a much more difficult process. Establishing a coherent and conclusive evaluation process can help you to learn what is going right and what could be improved. This is part of the overall review process which allows you to remain one step ahead with your Risk Management process. While implementing Strategic Risk Management is not a simple step by any means, there is no reason it can’t be made easier through a calculated step by step approach, taking obstacles into account and consequently moving to evade them. We offer free expert advice on Strategic Rick Management for Businesses so you can manage risks effectively and ensure the success of your business. We learn more when we make a mistake than when we get something right. For this reason, we can learn just as much about a topic by reading about mistakes as we can from hearing success stories. So with this in mind, in the hopes of learning a little more about risk management, let’s look at 5 common mistakes made in implementing risk management. Micro-managing your risks may work in the short-term, but with no overall strategy, your risk management is lacking direction. This direction helps keep your risk management on track and sets a precedent for how future risks are dealt with. It’s very common for businesses to get caught up in the identifying, evaluating and strategizing of risk management that they run out of steam and forget the assessment element of the process. Once a strategy has been in practice for a period of time, this is the right time to really assess just how effective it is. Neglect this step, and small issues can quickly become major problems. Each department has a role to play in effectively identifying risks throughout the company. The importance of input from throughout the company cannot be stressed enough. They possess unique insights into the operations of each aspect of business. Without their input, crucial risks can go unmanaged. We design our risk management strategies in the hope we won’t have to deal with failure, however we can’t count it out. Failure is always an option, because as we know we stand to learn a lot from our mistakes. Being too afraid of failing means we don’t take risks and don’t try anything different. Risk management comes in many forms from proactive measures such as training and preventative measures like purchasing insurance. A common mistake would be to rely too much on one over the other. Finding a balance means risks are minimized through thorough employee training and the potential consequences should this fail are also lessened with the right insurance in place. Whether we make mistakes, or someone else does – this can provide us with a lot of guidance for the future. Have you ever made a mistake in your risk management, what did it teach you? Will Healthcare Reform Affect P&C Insurance Rates? Many of the Affordable Care Act’s (ACA) major provisions take effect Jan. 1, 2014, and business owners across the country are curious about the effects that the health care changes will have on the Property & Casualty (P&C) market. Industry experts speculate that the ACA will have the greatest direct impact on medical malpractice liability insurance and workers’ compensation coverages—but whether the changes will result in higher or lower rates is still an ongoing debate. In theory, as more people gain access to health care, the number of medical malpractice liability lawsuits could decrease because patients will be able to receive earlier treatment for medical problems, leading to better health outcomes. Similarly, as more workers have access to health care, workers’ compensation (WC) rates may also decrease. Alternatively, some analysts express concerns that the influx of newly covered patients could exacerbate existing staffing shortages and stretch doctors and nurses too thin. This could result in a higher frequency of medical errors and potentially increase the amount of time workers must wait to receive treatment—ultimately leading to higher rates. Does My Policy Cover Injured Volunteers? Non-Profits thrive off of the hard work of volunteers; donations, tangible gifts, and the irreplaceable gift of time. While the question posed below specifically comes from a non-profit organization, there are issues to be considered when your employees do volunteer work on your behalf or when you yourself are the volunteer. Our nonprofit organization depends heavily on the services provided by volunteers. Do any of our insurance policies cover medical expenses if a volunteer is injured on the job? Will our liability policies defend us if a volunteer sues the organization because of the injury? Is the organization covered if we get sued for an accident caused by the volunteer? These are excellent questions. Board members and staff of nonprofit organizations are right to be concerned about taking care of their volunteers and protecting the organization from liability that might arise out of the services provided by the volunteers. We are privileged to serve several organizations such as yours and this question comes up frequently. If a volunteer is injured while providing services for your organization, the first thing you need to know is that your workers’ compensation policy won’t provide benefits. Texas law doesn’t permit workers’ comp coverage on volunteers, other than those who work for government and emergency service organizations. If a volunteer is injured while providing services at your location, your commercial general liability policy provides some coverage for his or her medical bills. The limit of coverage is very small – typically only $5,000. If the volunteer believes the organization or one of its employees is legally responsible for the injury, your insurance company will investigate the accident and offer payment if it agrees, or defend you and pay any resulting judgment if the volunteer sues, subject to the liability coverage limit. If a volunteer is injured in an automobile accident while using a vehicle owned or leased by your organization, your business auto policy provides some coverage for medical bills and other benefits if you have purchased Medical Payments, Personal Injury Protection and/or Uninsured Motorists coverages, up to the limits purchased for those coverages. If the volunteer believes the organization or one of its employees is legally responsible for the injury, your auto insurance company will investigate the accident and offer payment if it agrees, or defend you and pay any resulting judgment if the volunteer sues, subject to the liability coverage limit. If a volunteer is injured in an automobile accident while using his or her own vehicle, your policies won’t provide any coverage for medical bills. It might be a good idea to inform your volunteers of this fact and encourage them to review their own auto insurance policies with their agents to be sure they are adequately covered. As you see from the information provided so far, covering medical bills incurred by volunteers while working for your organization is a hit-or-miss proposition. The best way to provide medical and other benefits to your volunteers is to purchase a special policy known as “Volunteer Accident Insurance.” This type of policy typically provides a wide range of benefits, including accidental death, accidental dismemberment, accident medical expense and occupational disability payments. 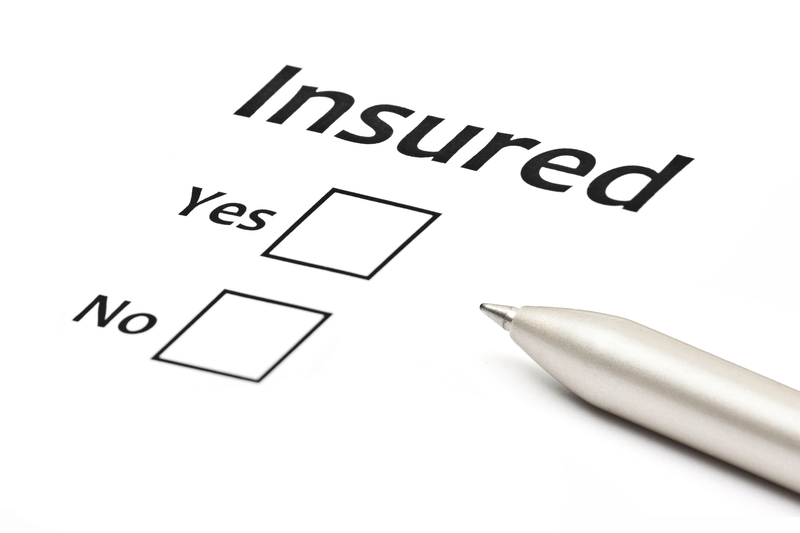 High limits of coverage are available from most insurance companies offering this type of policy. Ask your agent for more information and a proposal. Your general and automobile liability policies cover the organization if a volunteer injures someone or damages property of others while working for you. If the accident involves an automobile owned by the volunteer, special coverage is needed, so ask your agent to be sure you have the appropriate coverage. Your policies may or may not provide the same liability protection for the volunteer should they be sued individually for injury or damage caused by the volunteer. These policies usually provide the coverage unless the accident involves the volunteer’s own vehicle. Of course the volunteer should be able to rely on his or her own auto liability policy for this protection. It might be a good idea to encourage volunteers to review their own auto insurance policies with their agents to be sure they are adequately covered, especially if they are using their vehicles to transport clients of your organization. Special coverage is available to cover volunteers on your auto liability policy – excess over their own policies or primary if their policies don’t provide coverage for some reason. Litigation is an unfortunately common occurrence in business. When planning your risk management strategy regarding your liability in business, it is also important to look at other potential risks that may arise when your company is involved in legal proceedings. Having a crisis management strategy in place will go a long way to avoiding many risks if your business in involved in litigation. Media and public relation policies will provide guidelines for your staff in dealing with potentially volatile situations. Avoiding cases of defamation or damage to the company’s reputation can be avoided if public relations are effectively managed. The potential cost of litigation can be crippling for a business. If you purchase Business Liability Insurance your policy can cover the fees you incur during the legal process. This can include your legal teams fee and any compensation you may be required to pay. With the popularity of electronic communication, greater legal importance has been put on e-mails in court cases. If called upon, a business must be in a position to produce records of electronic communication in a court case. This information must also be seen to be complete and in its original form. Implementing an efficient eDiscovery system for your electronic communication archive will ensure your data is secure and can not be corrupted or tampered with. It is also important to consider the speed at which these files can be recovered. To delay a court case unnecessarily could run up costs or to fail to return with the correct documentation in time could be detrimental to the case. Minimizing your potential risk when involved in litigation should be an important stage in your risk management strategy. Purchasing the right insurance and implementing guidelines could avoid potentially disastrous consequences. If you need any business insurance advice, click here to ask an expert.